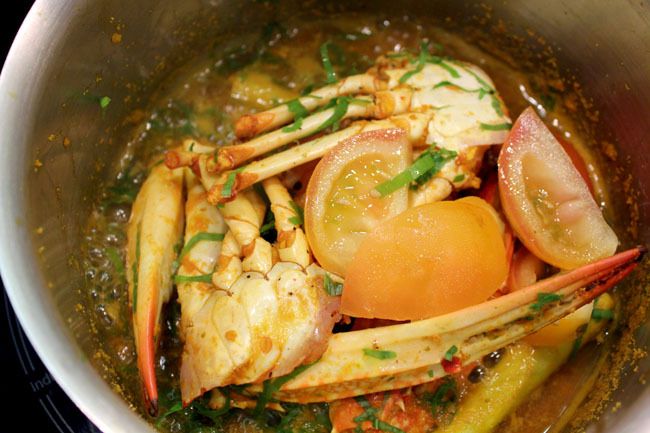 Crabs seem to be the hardest thing to cook, and definitely not a common thing to cook at home on an everyday basis. 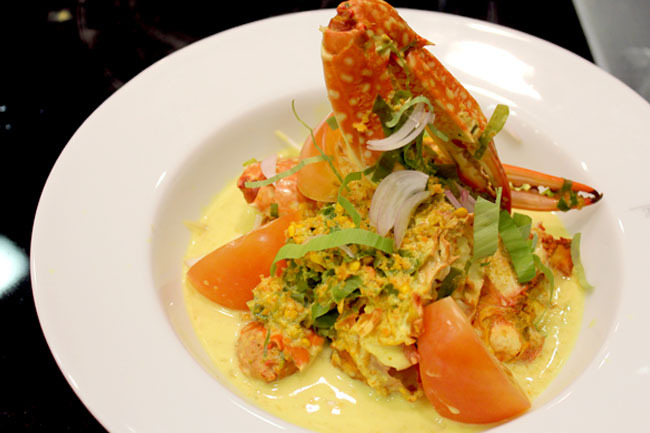 You can try this recipe of “Ketam Masak Lemak” – a famous Malaysian Nyonya dish where crabs in cooked with thick, spicy coconut gravy. The strong flavours of the spices and lemongrass, chillies, tamarind and turmeric should make it a suitable dish to go with rice. Plus, flower crabs are generally softer in the shell and easier to crack at the comfort of home. Okay, if I can do the Ketam Masak Lemak, you can probably cook it better than I do. 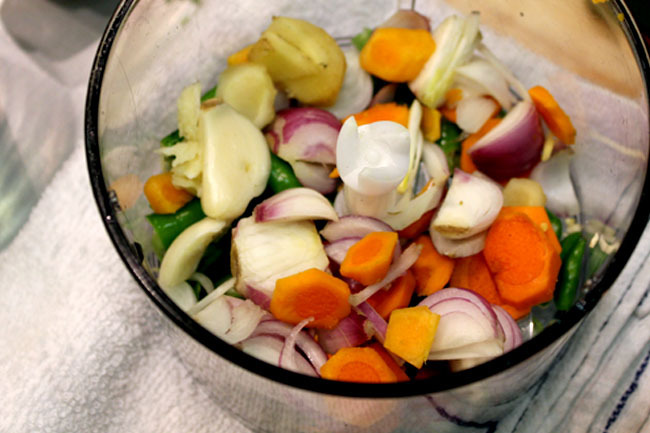 Blend the turmeric, bird eye chilli, shallots, galangal and green chilli together. Cooked the blended ingredients into a pot with water, turmeric leaves and tamarind and let it simmer for about 3 minutes. 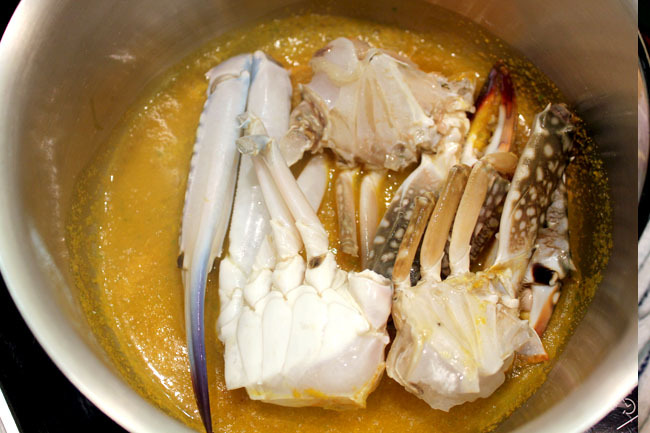 Add the coconut milk, crabs and rest of the seasoning together and stir it gently until all ingredients are cooked for about 3-4 minutes. 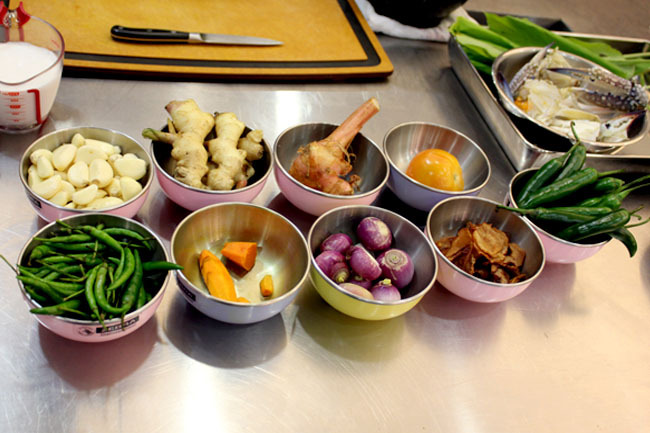 Lastly, add the tomato wedges before serving into a bowl and garnishing with crispy turmeric leaves. Sounds pretty simple? Mine turned out to be slightly too sour, and I learned not to add too much tomato and assam. Also don’t overcook the crabs or it would lose too much of its natural sweetness. Thank you Chef Azri Abdul Manaf, Chef de Cuisine of Makan Kitchen. If you want to try the real thing, you can head over to DoubleTree by Hilton Kuala Lumpur, Malaysia. After trying his version of the Spicy Coconut Flower Crabs, trust me, I was so tempted to. 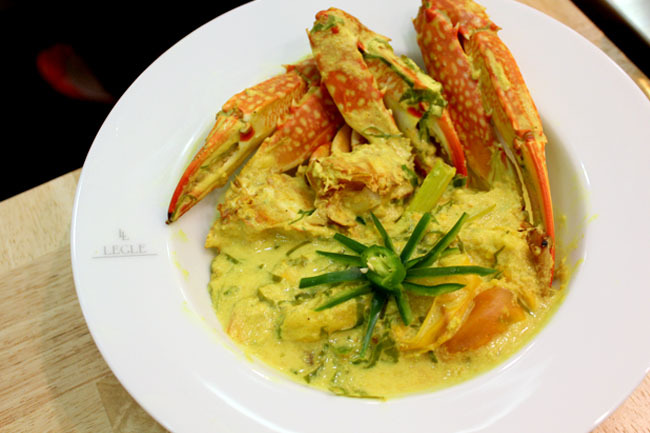 Actually Ketam Masak Lemak is a Malay Minangkabau dish. Not by nyonya lah bro. Try go travel around in Indonesia or Malaysia and find the actual sources 1st.